This Hyaluronic Acid 101” post breaks down the basics, teaches you how it works and leaves you with product recommendations so you can try it yourself. Hyaluronic acid is perhaps one of the buzziest ingredients in skincare right now. Despite its popularity and inclusion in numerous products, though, there’s still quite a bit of confusion about what this superstar ingredient does and how it works. Though it may sound like a modern lab invention, hyaluronic acid is naturally produced by our bodies. The fancy pants scientific name for this sugary molecule is “glycosaminoglycan,” but we’re just going to call it “honey of the body” because that’s way easier to remember. Hyaluronic acid plays a key role in lubricating and protecting everything from your knees to your eyeballs. It does so by replenishing and retaining heaps of moisture (like, a really impressive amount of moisture), which is vital to skin, joint and tissue health. As you might have guessed, the hyaluronic acid found in skincare ingredients is synthetic, but it’s identical to the stuff your body produces. Hyaluronic acid can be applied topically or injected as a filler. For years, the latter was considered the only truly effective means of using it, and it’s still quite common today (Juvéderm or Restylane may ring a bell). That’s all changed in recent years, though, because scientists have made an important breakthrough by reducing the size of hyaluronic acid molecules. Previously, the molecules were too big to penetrate the skin, so they’d just sit on top and then get rinsed or wiped away without doing much. Now that the molecules are smaller, they can penetrate more deeply to truly improve moisture retention. When shopping for skincare products with hyaluronic acid, it’s important to look for those with “low weight” molecules. This is often listed in the ingredients as “sodium hyaluronate,” which is a smaller, more stable, water-soluble salt form of hyaluronic acid. Which Skin Types Benefit Most from This Ingredient? Bottom line: Anyone who’s concerned about fine lines, wrinkles, loss of elasticity, and dry skin will benefit most from hyaluronic acid. As we get older, our skin naturally becomes less efficient at producing moisture. It also loses some of its fullness due to a decrease in collagen, which is what causes drooping or sagging. Additionally, as we age our skin starts to show signs of repeated creasing. This is most noticeable around our eyes (crow’s feet), mouth (laugh lines) and forehead (worry lines). These newfangled, low-weight topical hyaluronic acid products combat all the above by noticeably— and almost immediately—plumping up the skin to fill in creases, reduce sag, and add a major dose of moisture. Now that you know just how awesome hyaluronic acid is, it’s time to talk products. 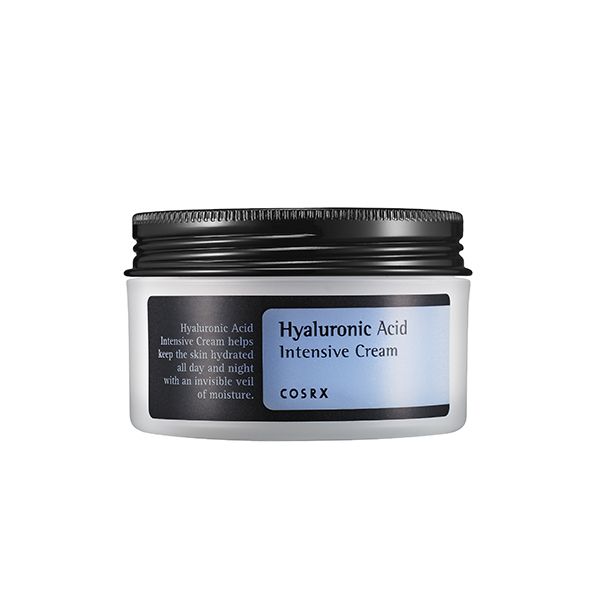 We’ll start with the COSRX Hyaluronic Acid Intensive Cream, a remarkably hydrating cream that plumps your skin up to make it look younger, firmer and renewed. Use it in the evening just before bed so it can work its magic while you sleep. Another favorite is Lioele’s V-Line Sleeping Pack, which has over 100 reviews with 4.5 out of 5 stars. This one promises a fun skincare experience, too. After you apply the product, you’ll see actual water droplets start forming on top of your skin! Throw this one in your overnight bag at your next sleepover and everyone will love you for it. 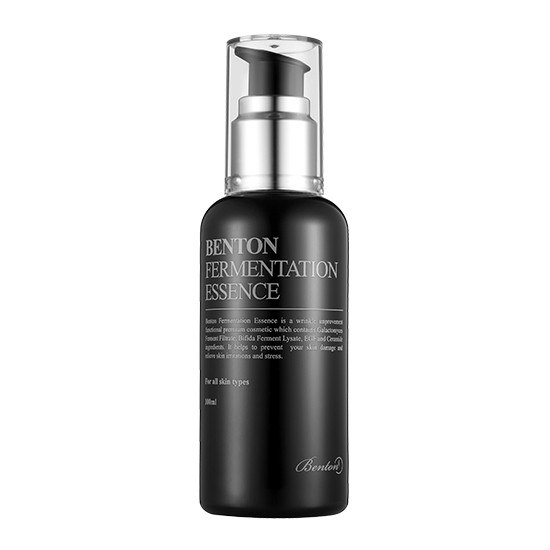 Finally, the Benton Fermentation Essence, which you can use in the evening or in the morning after cleansing and toning. Like the above two recommendations, this essence contains the sodium gluconate form of hyaluronic acid for maximum penetration. It also contains a fermented yeast that will make your skin appear brighter and more vibrant. + Got questions? Well, we’ve got answers! Hit us up in the comments and we’ll help you out.